Ashley returns to an old love from her younger days. 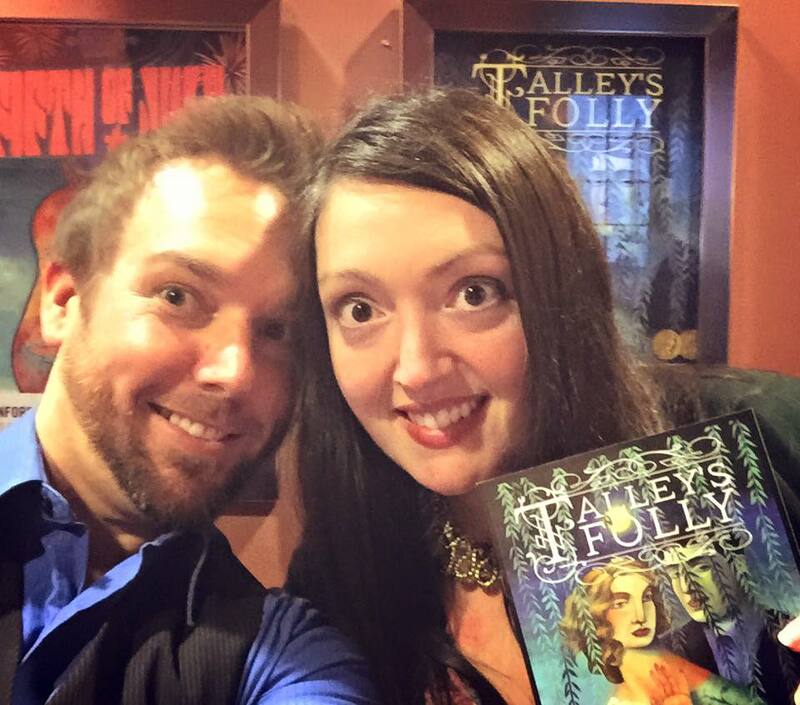 It was our first night out without Scarlett and Will and I decided to see Talley’s Folly at The Aurora Theatre in Berkeley. Ah, Talley’s Folly. Just thinking of the title makes my heart cartwheel a bit. As someone who has a very difficult time picking a favorite anything, this play may indeed be my number one. Let’s take a quick trip down memory lane and loop around the Cowan cul-de-sac, shall we? My freshman year of college started with a role in Lanford Wilson’s The Rimers of Eldritch. At 17, I got cast as this 40-something year old woman who was kind of abusive to her mom and who shot a real gun on stage. It was awesome. Being the Hermione Granger that I am sometimes, I took my winter break to read as many Lanford Wilson plays as I could to try and keep up my theatrical education. I fell in love with Talley’s Folly on my first reading. I then reread the play over and over again and would read Sally’s lines out loud to noone. Practicing the part for no real reason other than just needing to play it if only for myself. I would wait until everyone else in my family was asleep and then I would whisper the words alone in my room. I also later attempted to learn how to smoke a cigarette convincingly because the script mentioned that the two characters briefly smoke together… which went about as poorly as you’d imagine. I hear you all yelling, “nerd alert”. And I respect that. It’s pretty nerdy. But needless to say when my friend, Jill, decided to do the show for her senior directing project during my junior year, it’s safe to say I would have done almost anything to finally do the role in an actual production with a real audience. We were a small cast and crew with a limited budget and we only had two shows but we were all so devoted and in love with the whole process that for us, it was the world. 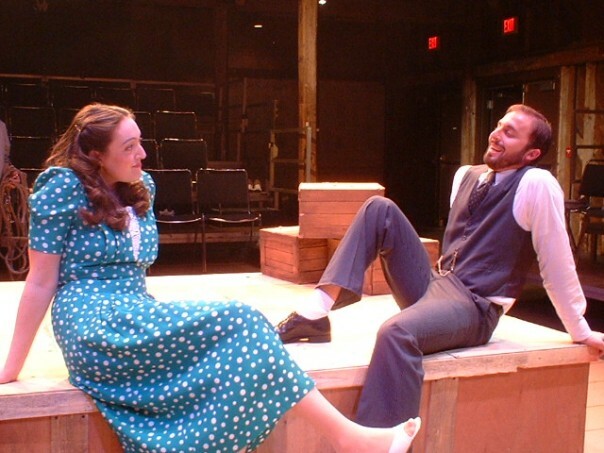 I played one of my dream roles at 20 and it reinforced one of the reasons why I love theatre. You can live an entire lifetime full of high stakes and big gestures in an evening and at the time, I was a nerdy college kid in Rhode Island who dreamed of worldly adventure and intrigue. 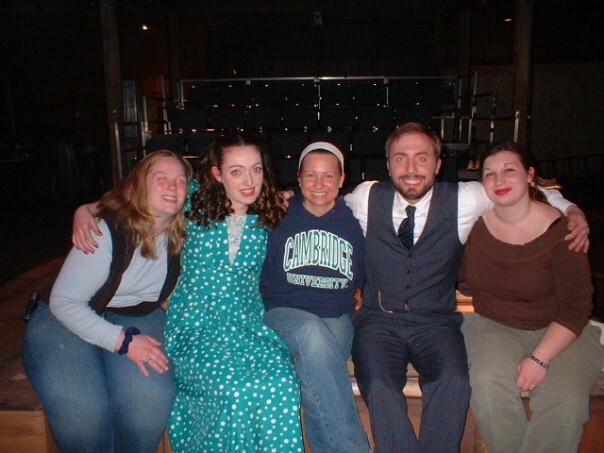 I held that show on a blurry pedestal afforded to any of us who have done high school or college theatre. That magically hazy place where no one is really playing age appropriate roles and yet you can’t possibly imagine doing the play with anyone else. For the most part, everyone working on the show is doing it because they genuinely want to do it. They may grow up to do very different serious adult things but those youthful productions can sometimes be these beautiful, short-lived acts of love that can’t exist anywhere else. Since closing our production of Talley’s Folly, I’ve continued to seek out audition opportunities to play the role I loved so much again. I assumed that doing it in a more professional setting would only increase my love for the show. When I saw that Aurora had put it in their season I made a game plan to pimp myself out like never before! I was going to campaign to audition with the fire to fuel 10,000 suns! Two days later I found out I was pregnant so I just ate pizza everyday for a week instead. After spending two full months with our own little production, our daughter, taking our first date night was a pretty big deal. And introducing my favorite show to my favorite guy seemed like a great evening. As we sat in the dark theater listening to the love story of Sally Talley and Matt Friedman unfold I couldn’t help but get emotional. Here I am, the actual age of Sally, still holding that college production on its pedestal. While I’m not saying I’ll never go for the part if given the chance now, I’m more grateful than ever to have had the show with my Roger Williams University cast and crew. I was young, doing a play I loved with my best friends. How could anything ever compare? It can’t. And that’s another reason theatre can be so powerfully heartbreaking and heart lifting all at the same time. It’s both fleeting and fulfilling. I left Berkeley hand in hand with my husband after texting my director and cast mate that even after seeing a lovely telling of my favorite show that I was more in love with our own production than ever before. Not because it was “better” but because it gave me the chance to recall one of the happiest times in my life and find a peace in allowing that memory to just exist without the need to relive it. Plus, I still have the character of that nerdy college kid and that’s what I’d like to hold onto. So I dried up my thoughtful tears and sweetly demanded we conclude our big date night with a burger in honor of that memory and everything that came after.